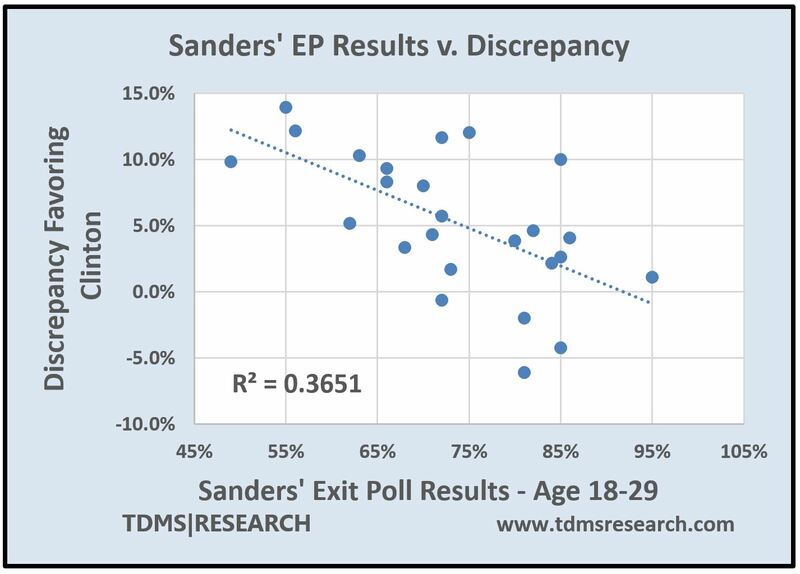 This article is part of the exit poll section included in the report Democracy Lost: A Report on the Fatally Flawed 2016 Democratic Primaries. by Election Justice USA. Statistical details will soon be included. 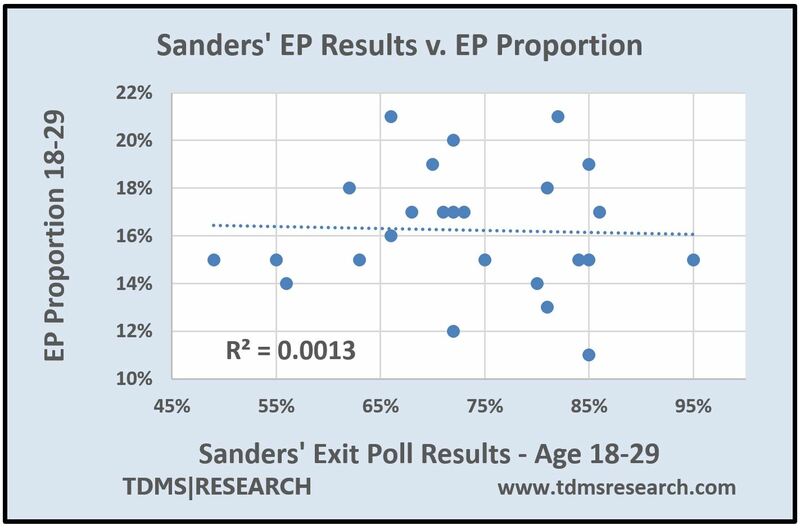 It is to the very strong statistical evidence for this notion—that electronic vote counts may have been tampered with in the 2016 Democratic presidential primaries—that we turn in the next section of the report. 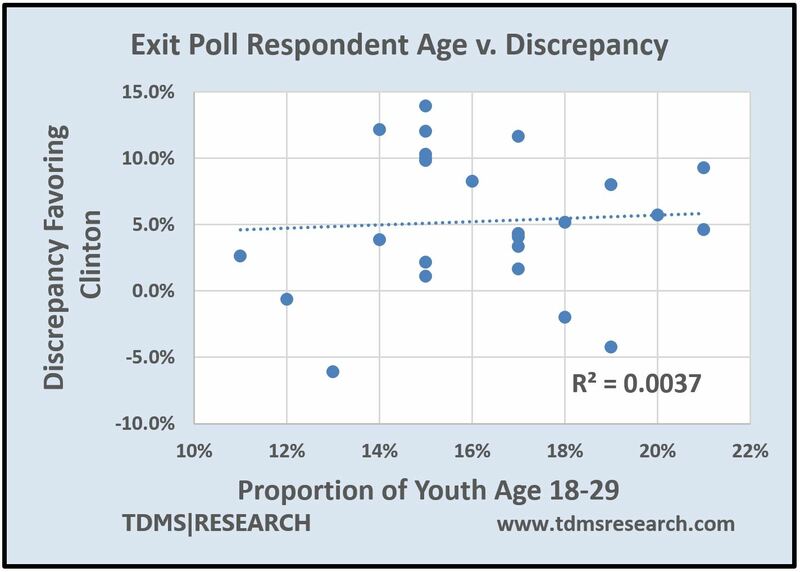 2 Comments on "Youthful Voters not the Cause of Discrepancies between Exit Polls and Computer Counts"
However, I should add that, as speculations can be way off and easily countered, what is needed to allay suspicion is a full independent inquiry. President Obama can set this in motion before he leaves office. We need the facts.